China will work with Papua New Guinea for a successful meeting of the Asia-Pacific Economic Cooperation group and make more contributions to the economic growth of the Asia-Pacific and the world, President Xi Jinping said on Thursday. 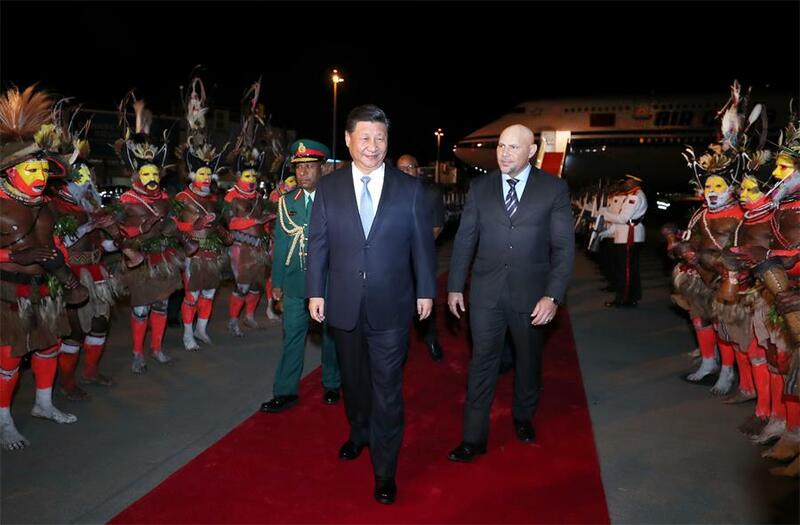 Xi made the remark in a written statement on arrival at Jacksons International Airport in Port Moresby, capital of PNG. Xi said that socialism with Chinese characteristics has entered a new era and China's development has provided PNG and other Pacific island nations with historic opportunities. During the trip, he will make a state visit to PNG, attend the 26th APEC Economic Leaders' Meeting, and also meet with leaders of Pacific island countries that have established diplomatic ties with China to discuss cooperation plans. Xi's visit to PNG will guide the relationship between the two countries to a new historic height, said Xue Bing, China's ambassador to the country. "It will be the first visit by a Chinese head of state since the two countries established diplomatic ties 42 years ago, which bears far-reaching significance," said Xue in a written interview with China Daily. Xue said the bilateral relationship has developed in a stable way over the decades and high-level exchanges have drawn them close in recent years, with political mutual trust continuously deepening. In June, PNG Prime Minister Peter O'Neill met with Xi during his visit to Beijing and witnessed the signing of a memorandum of understanding with China on Belt and Road construction, becoming the first Pacific island country to have such a deal with China. Xue said great efforts are required to enhance infrastructure construction and boost interconnectivity to develop the country's economy, and "participation in construction of the Belt and Road will help to attract Chinese capital and technologies to meet such needs". "Located along the extension route of the 21st Century Maritime Silk Road, PNG is an important partner in production capacity cooperation with China under the Belt and Road Initiative," he said. The upcoming APEC Economic Leaders' Meeting will be the first time PNG has hosted the event after joining the organization in 1993. "We believe the PNG government and its people are able to host a successful APEC meeting with unique features," Xue said. It is a great event for PNG and also the Pacific island region, and will further promote the country's position and influence in global and regional affairs, he added. PNG is also a major destination for Chinese enterprises to expand overseas. 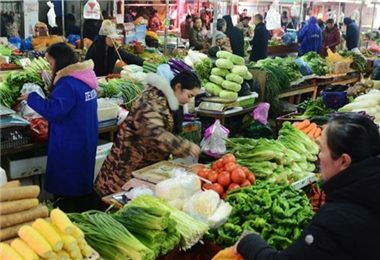 According to Chinese trade authorities, bilateral trade volume between China and PNG reached $2.84 billion in 2017, 24.4 percent higher than the previous year. There are nearly 40 Chinese enterprises in PNG, offering jobs to more than 8,000 local people, the ambassador said. The enterprises also have participated in disaster relief work and made donations after a 7.5 magnitude earthquake hit the country in February. "Chinese companies have won the trust of the PNG government and its people through their own efforts, which helps promote the two-way friendship and lays a solid foundation for the healthy and stable development of bilateral ties," he said.